Electricity for resistance heating and cooling. Gas for heating and electricity for cooling. Heat pump models using electricity. 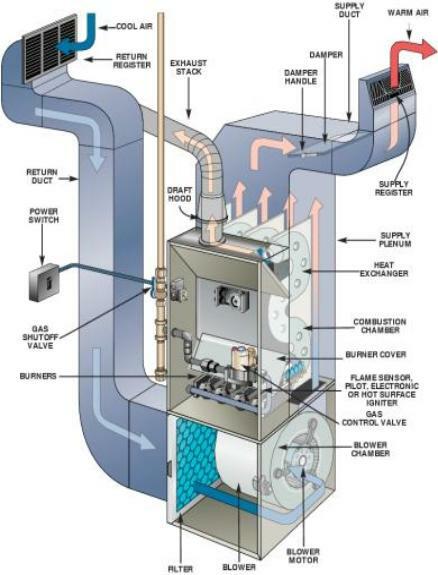 AFUE - Annual Fuel Utilization Efficiency, a rating that reflects the efficiency of a gas furnace in converting fuel to energy. normally referred to in BTUs. 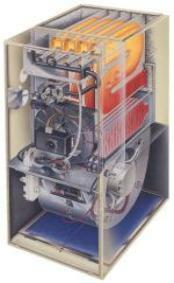 Compressor - The heart of an air conditioning or heat pump system. It is part of the outdoor unit that pumps refrigerant. zoning to regulate airflow to certain rooms. absorbs heat from air passed over the coil. the more efficient a heat pump is at heating your home. There is no legislated minimum rating. SEER - Seasonal Energy Efficiency Ratio, a rating that measures the cooling efficiency of a heat pump or air conditioner. The higher the number, the more efficient the unit. 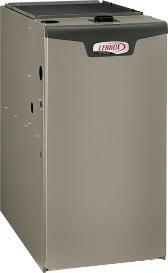 include an outside unit, such as an air conditioner and an indoor unit, such as a furnace and coil. thermostats allow you to program different levels of comfort for different times of the day. Ton - A unit of measurement used for determining cooling capacity. One ton is the equivalent of 12,000 BTUs per hour. Getting the most comfort and highest efficiency from your HVAC system. Follow manufacturer's routine maintenance directions. 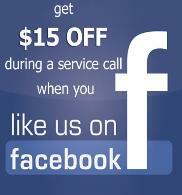 Have entire system checked once a year by a qualified service technician. Permanent - Clean with mild detergent, per manufacturer's recommendations, every 30 to 60 days. Replaceable - Replace every 30 to 60 days. Keep closed when system is running. Caulk and weatherstrip to close air gaps. Open drapes and shades over windows facing sun. During cooling season, don't wash/dry clothes during warmest times of day (late morning and afternoon). When cooking, use exhaust fan only as needed. Keep thermostat at desired setting. conditioning and/or indoor air quality system. A burner, through which gas (natural or propane) or oil is delivered and burned. Ductwork to transfer the heated air throughout the home. The efficiency of a furnace is rated using a percent of AFUE. oil. An electricity source is required to run the control systems, blower and some accessories. and installed outdoors, typically on a concrete slab or other platform.